Hi guys!! Today I decided to wear only one colour, Ciaté London – Cabaret and since I haven’t swatched it yet, here are the swatches. 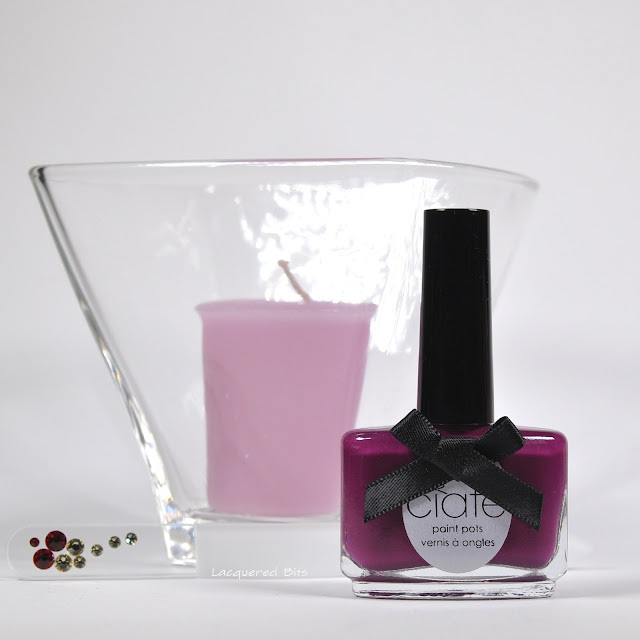 According to my experience with this brand (you can check swatches of Ciaté London Mini Mani Month Calendar 2015), I expected a great formula with the great brush. And I must tell you that I wasn’t disappointed. It had an amazing formula and I didn’t have to do any clean up after I finished applying the polish. 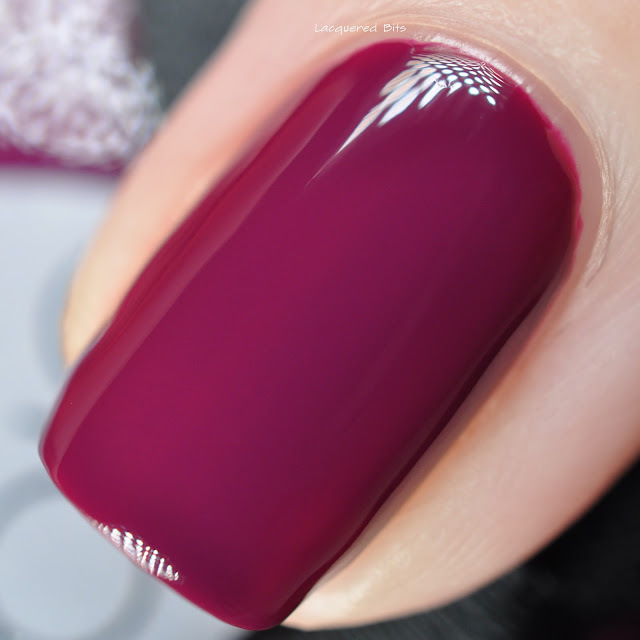 I did 3 easy coats for the photos, but you can get it opaque in two coats (I did only two on my right hand). 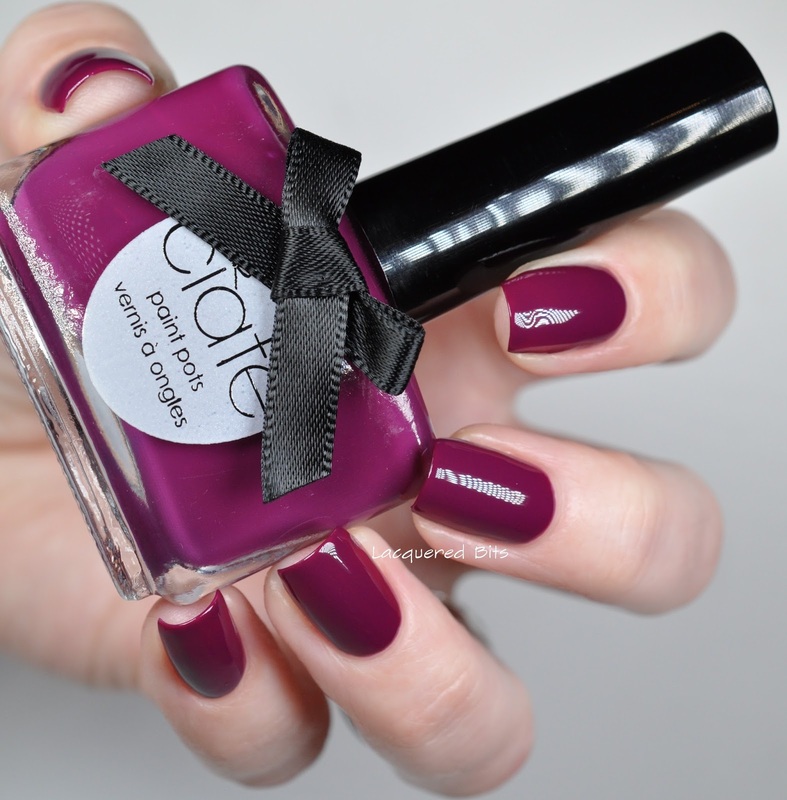 It has a very glossy finish and it looks like you had velvet on your nails, so amazing!! And look at the macro, it’s perfect. It was so amazing watching it level itself out perfectly. And here are the comparisons. 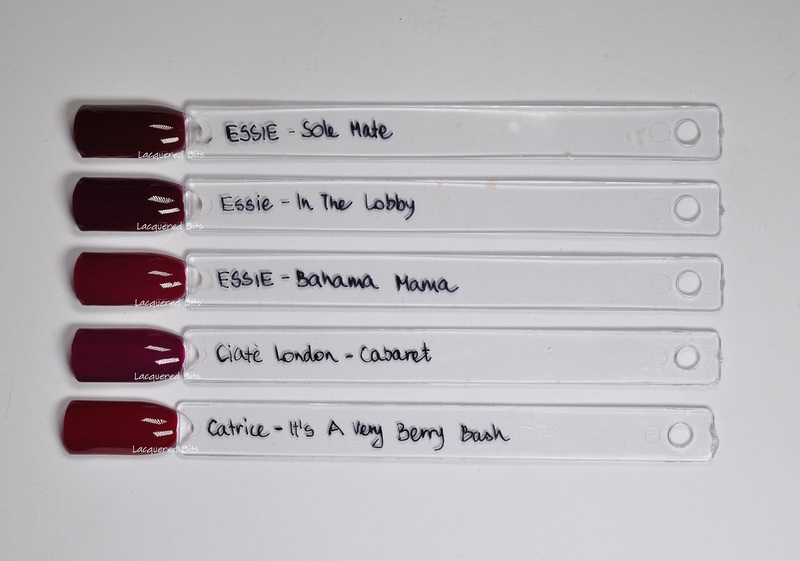 I bet you are wondering if it’s the same as Essie’s Bahama Mama. Well it’s not. As you can see the Essie is more red/brown whereas Cabaret is more purple. And I added some others that looked close. But you can see that I don’t have an exact dupe in my stash.